Norma F. (Ryan) Fay (nee Zimmerman), age 83, of Fair Lawn, NJ passed away on Sunday, January 13, 2019 surrounded by her loving family. Born in Belleville, NJ, she was a proud, life-long resident of Radburn, NJ. She was a parishioner of St. Anne R.C. Church in Fair Lawn. Norma enjoyed tennis, reading, knitting and being a member of the “Ladies Club”. Her greatest joy came from spending time with her family who she loved immensely. Prior to retiring in 1998, she was employed by the Borough of Fair Lawn for 25 years. 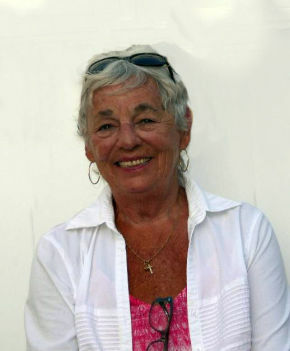 Beloved wife of the late Sidney “Skip” Fay. Loving and devoted mother of Patricia Horton (Riley), Karen Hatcher (Tim), Andrew Ryan, Terrence Ryan (Alison), Colleen Ryan, Kathleen Cronin (Brian), Steven Fay (Judy) and Mark Fay (Julie). Cherished grandmother of 11. The family will receive relatives and friends Friday, January 18, 2019, 2-4 & 7-9 pm at Vander Plaat-Caggiano Funeral Home, 13-31 Saddle River Road, Fair Lawn, NJ. A Funeral Mass is planned for Saturday, January 19, 2019, 10:00 am at St. Anne R.C. Church, 15-05 St. Anne Street, Fair Lawn, NJ. In lieu of flowers, donations in memory of Norma to St. Anne R.C. Church Food Pantry, 15-05 St. Anne Street, Fair Lawn, NJ 07410 would be appreciated. One of my more talented tennis pupils! Always fun to be around! Am a few years older than her numerous kids, but enjoy their company also and on a rare occasion continue to do so. Was so glad to visit with her in her home about 16 months ago during my annual trip to Radburn/Fair Lawn prior to the U.S.Open each August. She will be missed, but her infectious demeanor lives on! A full life indeed and one worth emulating! She was a gem! What a lovely picture of your cherished mother and grandmother -- surely, she was looking at one of her children or grandchildren. Radburn will miss her.